Insurance E-Mart: Who is the best insurance agent or financial adviser in Asia? Who is the best insurance agent or financial adviser in Asia? Looking for the best insurance agent or financial adviser in Asia? 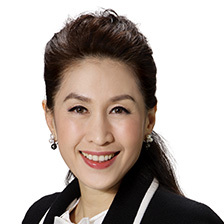 While the definition of "best" would be hard to pin down, the best insurance agent / financial adviser in Asia could very well be Ms Agassi Wang from Manulife (International) Limited based in Hong Kong. Agassi was crowned the Insurance Agent of the Year at the 1st Asia Trusted Life Agents and Advisers Awards organised by industry trade media Asia Insurance Review, in an audited judging process with industry leaders on the judging panel. Ms Wang won the Award for her years of excellence, an outstanding performance track record, her proven expert knowledge, for placing the interests of clients first and her service to the industry. Over Ms Agassi Wang’s 22-year career in the insurance industry, she has come to be viewed as a leader and an icon in the Hong Kong insurance industry. An outstanding agency leader, she leads by example in the field and is always aiming high and fully committed to delivering record-breaking results. She has been the Top Adviser of the Year in her company every year since 2010. In 2015, she produced double the Top of the Table requirement. Her impressive productivity has continued into this year as she has achieved her MDRT in just one month. All in all, she has qualified for Court of the Table four times, Top of the Table seven times and is an Honor Roll Member. industry exchange conferences to build her knowledge base. With a strong belief in helping others to build their success, she willingly shares her knowledge and experience selflessly. She is strongly committed to helping her clients find the perfect financial planning solutions to address their needs. She takes great pride in her professionalism and her commitment to clients, demonstrated by her consistently strong results and a high policy persistency rate, reaching as high as 99% in 2015. Her most rewarding accomplishment is becoming the first female promoted to Senior Regional Director at Manulife Hong Kong, which is at the very top of the agency management ladder. She leads a team of close to 200 highachieving advisers. Ms Wang is also devoted to different charity and community services, notably as Co-Chairlady of the SV Foundation. Her outstanding achievements together demonstrate the extraordinary commitment to the provision of the highest levels of service and professional solutions that customers can expect from Ms Wang, which is why she is truly deserving of the Insurance Agent of the Year Award.